SAY YOU WANT A RESOLUTION? 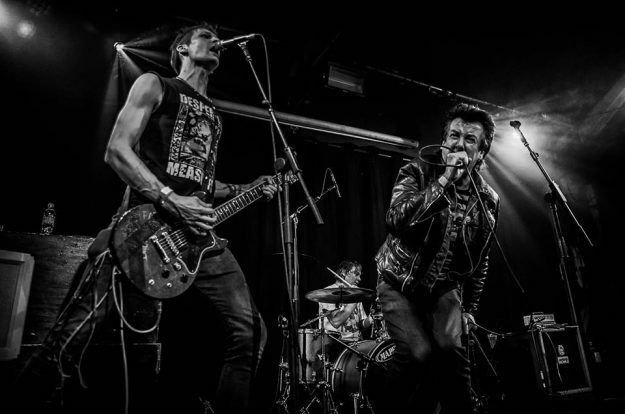 The Resolution Festival returns to London’s 100 Club in January with the usual bumper crop of New Year punk to set you up for the rest of 2019! Taking place at the legendary venue on Oxford Street from Friday 4th to Sunday 13th of January, you’ll be able to catch some of the UK’s top punk bands, including headliners DISCHARGE, GBH, UK SUBS, THE DERELLAS, ANTI-NOWHERE LEAGUE, VIBRATORS, SUBHUMANS, VICE SQUAD, DRAGSTER and SLAUGHTER II. Tickets for all events are on sale here! ‹ BRIAN JAMES’ TOP 10!